Type Ia supernovae are known as standard candles due to their consistency, allowing us to measure distances based on their brightness. But what if these explosions aren’t quite as consistent as we thought? Due scientific diligence requires careful checks, so a recent study investigates whether the metallicity of a supernova’s environment affects the peak luminosity of the explosion. 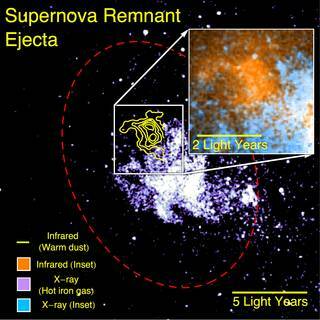 Type Ia supernovae are incredibly powerful tools for determining distances in our universe. Because these supernovae are formed by white dwarfs that explode when they reach a uniform accreted mass, the supernova peak luminosity is thought to be very consistent. This consistency allows these supernovae to be used as standard candles to measure distances to their host galaxies. But what if that peak luminosity is affected by a factor that we haven’t taken into account? 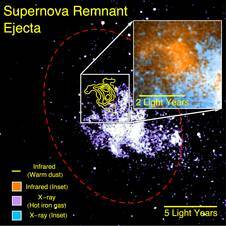 Theorists have proposed that the luminosities of Type Ia supernovae might depend on the metallicity of their environments — with high-metallicity environments suppressing supernova luminosities. If this is true, then we could be systematically mis-measuring cosmological distances using these supernovae. A team led by Manuel Moreno-Raya, of the Center for Energy, Environment and Technology (CIEMAT) in Spain, has observed 28 Type Ia supernovae in an effort to test for such a metallicity dependence. These supernovae each have independent distance measurements (e.g., from Cepheids or the Tully-Fisher relation). Moreno-Raya and collaborators used spectra from the 4.2-m William Herschel Telescope to estimate oxygen abundances in the region where each of these supernovae exploded. They then used these measurements to determine if metallicity of the local region affects the luminosity of the supernova. The authors find that there are indeed differences in peak supernova luminosity based on metallicity of the local environment. Their observations support a trend in which more metal-rich galaxies host less luminous supernovae, whereas lower-metallicity galaxies host supernovae with greater luminosities — consistent with theoretical predictions. This observational confirmation suggests that the metallicity of the progenitor may well play a role in peak supernova luminosity and, as a result, the distances at which we estimate they exploded. This systematic effect can, however, be easily corrected for in the distance-estimate procedure. 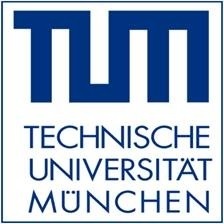 As the number of known supernovae is expected to drastically increase with the start of future large surveys such as the Large Synoptic Survey Telescope (LSST) or the Dark Energy Survey (DES), supernova distance measurements will soon be dominated by systematic errors rather than statistical ones. Correctly accounting for effects such as this apparent metallicity-dependence of supernovae continues to be important for accurately determining distances using Type Ia supernovae as indicators. Using NASA’s Stratospheric Observatory for Infrared Astronomy (SOFIA), an international scientific team discovered that supernovae are capable of producing a substantial amount of the material from which planets like Earth can form. “Our observations reveal a particular cloud produced by a supernova explosion 10,000 years ago contains enough dust to make 7,000 Earths,” said Ryan Lau of Cornell University in Ithaca, New York. 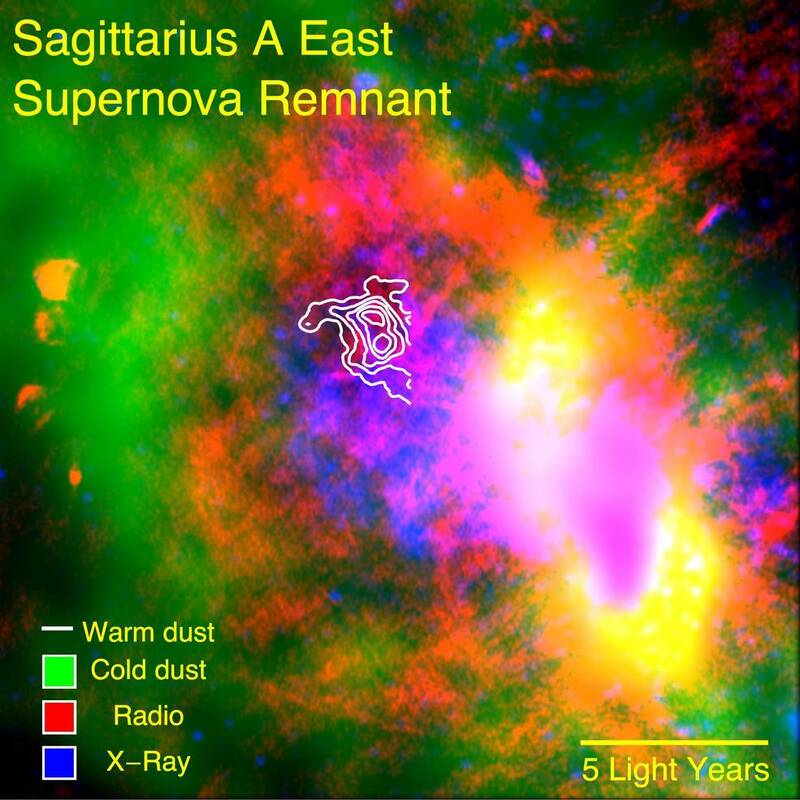 The research team, headed by Lau, used SOFIA’s airborne telescope and the Faint Object InfraRed Camera for the SOFIA Telescope, FORCAST, to take detailed infrared images of an interstellar dust cloud known as Supernova Remnant Sagittarius A East, or SNR Sgr A East. “The dust survived the later onslaught of shock waves from the supernova explosion, and is now flowing into the interstellar medium where it can become part of the ‘seed material’ for new stars and planets,” Lau explained. “This discovery is a special feather in the cap for SOFIA, demonstrating how observations made within our own Milky Way galaxy can bear directly on our understanding of the evolution of galaxies billions of light years away,” said Pamela Marcum, a SOFIA project scientist at Ames Research Center in Moffett Field, California. SOFIA is a heavily modified Boeing 747 Special Performance jetliner that carries a telescope with an effective diameter of 100 inches (2.5 meters) at altitudes of 39,000 to 45,000 feet (12 to 14 km). SOFIA is a joint project of NASA and the German Aerospace Center. The aircraft observatory is based at NASA’s Armstrong Flight Research Center facility in Palmdale, California. 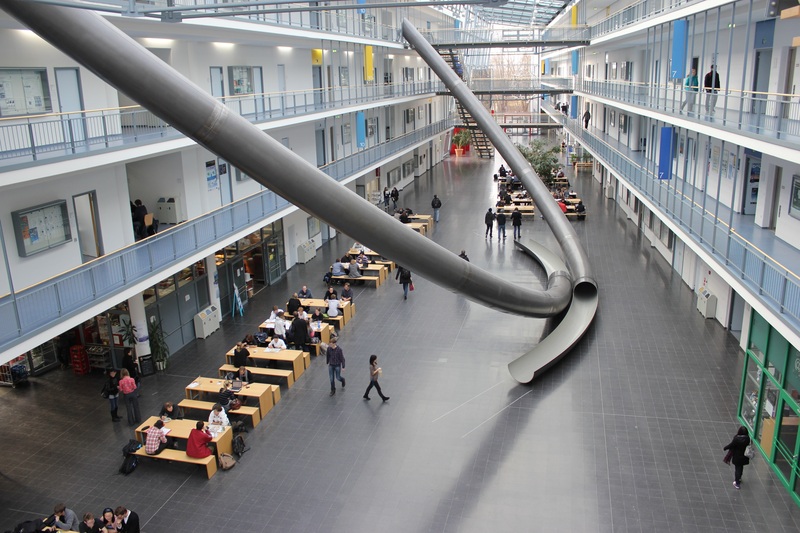 The agency’s Ames Research Center in Moffett Field, California, is home to the SOFIA Science Center, which is managed by NASA in cooperation with the Universities Space Research Association in Columbia, Maryland, and the German SOFIA Institute at the University of Stuttgart. 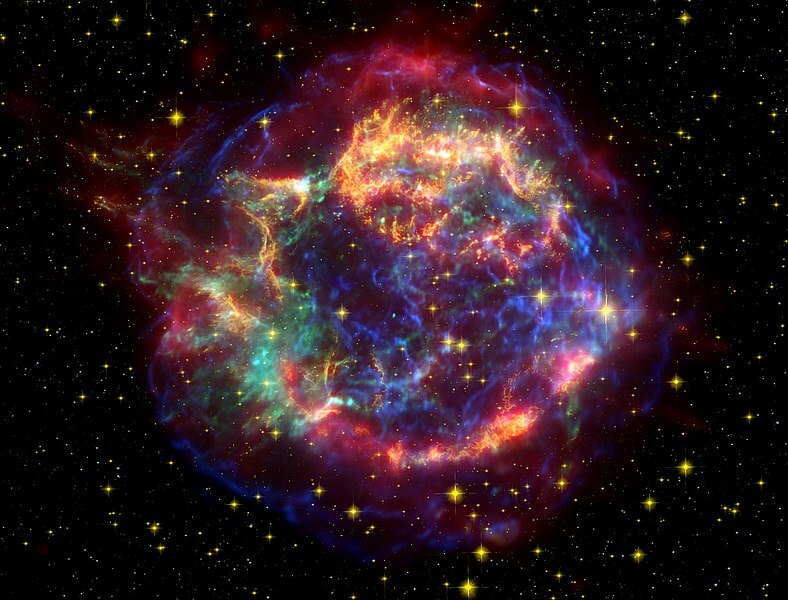 Cassiopeia A, or Cas A for short, is one of the most well studied supernova remnants in our galaxy. To make the 3-D map, Milisavljevic and co-author Rob Fesen of Dartmouth College examined Cas A in near-infrared wavelengths of light using the Mayall 4-meter telescope at Kitt Peak National Observatory, southwest of Tucson, AZ. Spectroscopy allowed them to measure expansion velocities of extremely faint material in Cas A’s interior, which provided the crucial third dimension. They found that the large interior cavities appear to be connected to – and nicely explain – the previously observed large rings of debris that make up the bright and easily seen outer shell of Cas A. The two most well-defined cavities are 3 and 6 light-years in diameter, and the entire arrangement has a Swiss cheese-like structure. The bubble-like cavities were likely created by plumes of radioactive nickel generated during the stellar explosion. Since this nickel will decay to form iron, Milisavljevic and Fesen predict that Cas A’s interior bubbles should be enriched with as much as a tenth of a solar mass of iron. This enriched interior debris hasn’t been detected in previous observations, however, so next-generation telescopes may be needed to find the “missing” iron and confirm the origin of the bubbles.